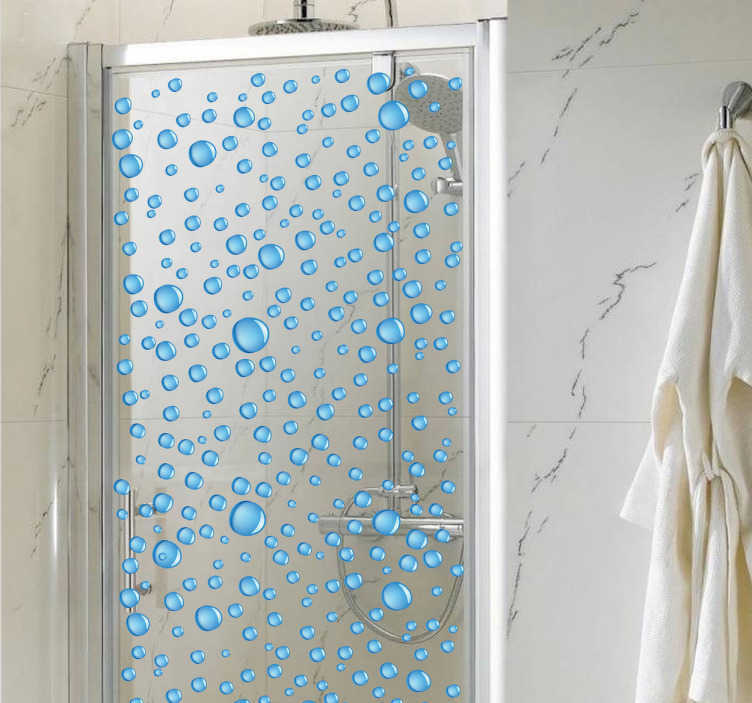 Preserve the privacy of your bathroom in an original and unique way with this shower sticker of water drops, from our shower stickers collection. Great decor idea, simple and modern. Use this bathroom decal to add a touch of personality to your home decor and create a nice atmosphere while you shower. *We advise you to customise the sticker with the dimensions of your shower glass. You will need to send us an email with these details at: info@tenstickers.co.uk stating the measurements you would like.